China's Uighur problem rooted in terrorism or racism? BEIJING -- The Chinese government has blamed every major terrorist attack in the country in recent years on extremists from the ethnic Uighur Muslim minority. Uighur separatists were sentenced to death for an October 2013 suicide-attack when an SUV was driven into a crowded Tiananamen Square sidewalk in Beijing. Four alleged Uighur activists were killed by police after waging a knife attack at a train station in the southern Chinese city of Kunming in March 2014. Two months later, Uighurs were blamed when bombs tore through a market in the Xinjiang province, killing 39 bystanders. The government's accusations are swift, and evidence is rarely made public. Non-violent Uighurs -- most of whom live in Xinjiang, in China's far west -- say they're often made guilty by association, and have long-argued they live as second-class citizens in a country dominated by ethnic Han Chinese. CBS News was able to set up an interview with Guzaili Nu'er, the wife of a prominent Uighur scholar. She had cancelled our interviews in the past and warned us to expect secret police to be waiting outside her house. Nu'er's husband, Ilham Tohti, was detained in early 2014, accused of "inciting ethnic hatred" and "spreading separatist ideology." We made it into Nu'er's Beijing apartment building and got up the elevator, to find men waiting outside her door -- who didn't want to let us in. They said they were with "property management." Then, Nu'er came into the hallway, shouting at the government goons that she is allowed to have guests. Such is the nature of trying to do an interview with a Uighur in China. Inside the apartment, Nu'er told CBS News that government agents frighten her kids, even sleeping outside her apartment. "They've (been) here since January, when my husband was taken away," she said. "He did not do anything illegal. He loves this country." Nu'er insists her husband is not a terrorist, nor a separatist. Rather, he's a respected academic -- one of the few who have risked everything to articulate the minority Uighur perspective in public. "He's a university professor," she told us. "He only wrote about Xinjiang's population, economy, religion, it's just research." CBS News met Nu'er in June, months before the September trial of her husband, where he faced charges that he led a group that pushed for the creation of an independent Uighur state. His lawyer Li Fangping said Tohti had refuted every charge against him, but at the end of his trial, he was sentenced to life in prison. Even the U.S. government was critical of the sentence. "Peaceful dissent is not a crime," Secretary of State John Kerry said in a statement. Now, China's government has confiscated all of Tohti's assets, and Nu'er will have to figure out how to raise the kids alone. She says she's even been robbed of family memories. "Our photos were in our phones and the computer," she told CBS News. "They took away everything." 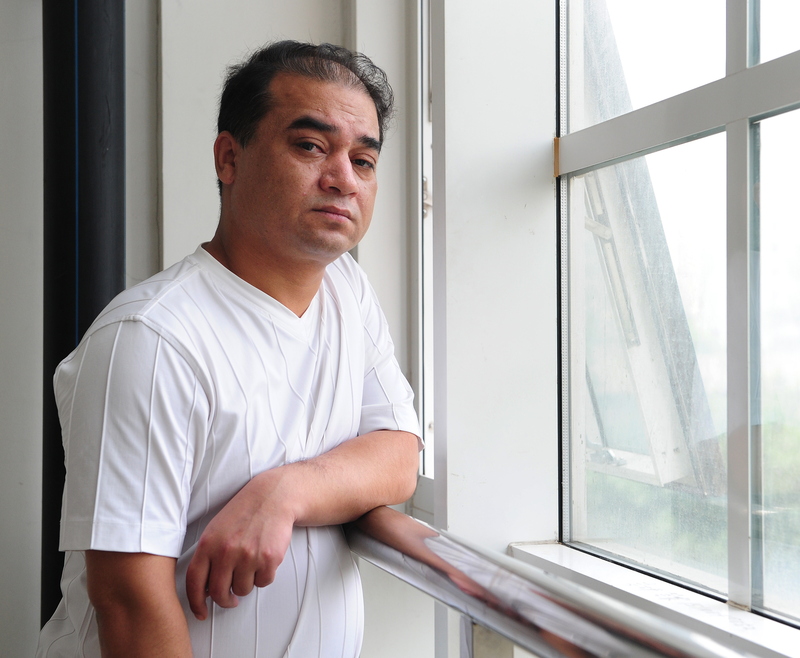 Chinese President Xi Jinping promised to crack down on "terrorist attacks," but Tohti's family argues that amid the violence and accusations, the moderate, peaceful Uighur voices, calling for nothing more than equality, are seldom heard.